un fin de semana más os traigo una entrada con algunos recién llegados a casa. another weekend I show you some goodies I've just received at home. Además ahora tienen rebajas del 25% en todos sus artículos y los gastos de envío son gratuitos. 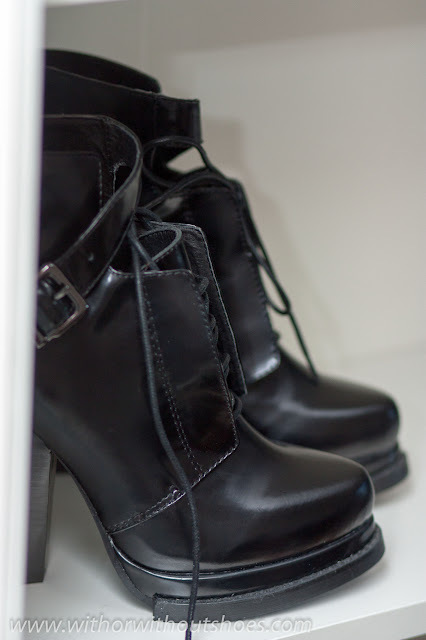 My new buckle ankle boots are from CHOIES a new online shop I have discovered recently, and I get crazy with its clothes and specially its shoes which have very trendy design and are made of quality fabrics (leather, suede...). Now they are on sale, and all the items have 25% off, and free delivery. Estos botines con hebilla al lado y cordones son muy del estilo Alexander Wang y muy parecidos a unos que a su vez hubo en Zara, pero que yo a pesar de buscarlos incansablemente, nunca vi en tienda. Así que al encontrarlos en Choies no dudé un momento y ya están en mi poder. Y estoy contentísima con ellos porque además de bonitos son comodísimos!! 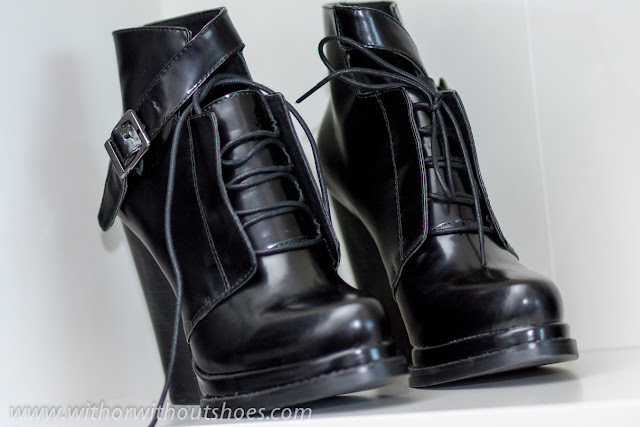 These buckle ankle boots are similar to another ones by Zara which I've never found at store. 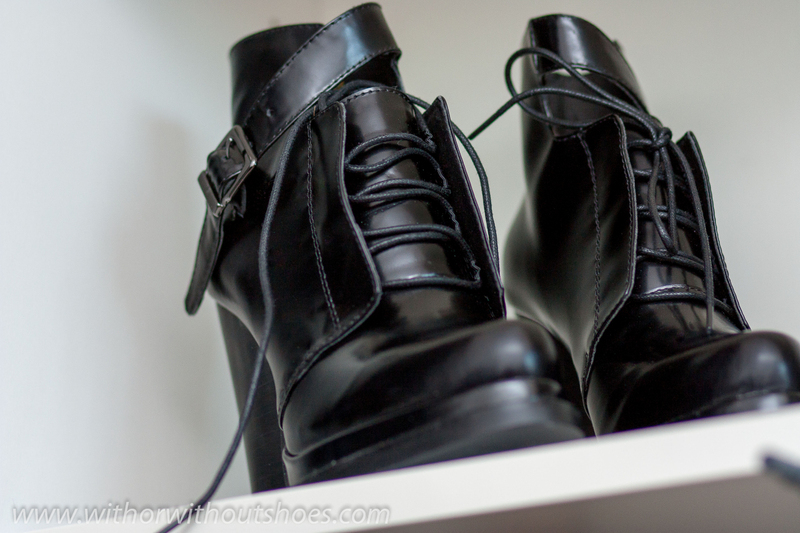 Because of this, when I discovered these boots on Choies I didn't doubt it and they are mine now. They are amazing, very pretty and very comfortable as well !! 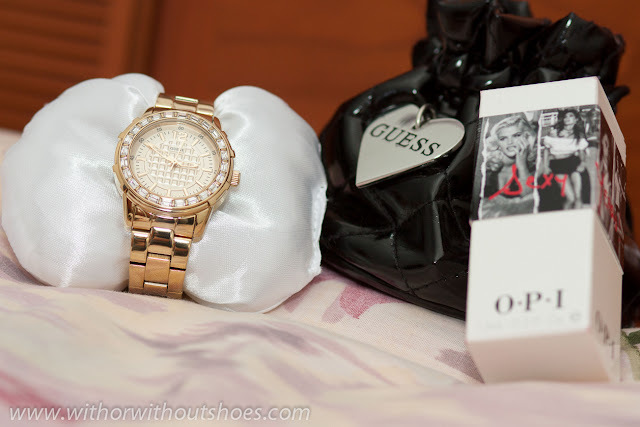 El reloj es de la nueva colección COURAGEOUSLY de GUESS Watches. Me gusta muchísimo porque es de acero dorado y además tienes unos cristales en talla baguette rodeando la esfera que lo hacen muy delicado. The watch belongs to the new COURAGEOUSLY collection by GUESS Watches. I love it because it is made of steel and it has also baguette crystals around the dial. La laca de uñas es una edición especial de O.P.I para GUESS, de color rojo vivo, a ver si me atrevo con ella porque nunca he usado ninguna igual. Nailpolish is one special O.P.I edition by GUESS in red color, and I'm so excited because I've never used any similar one before. Un beso y muchísimas gracias por vuestros comentarios. ¡Feliz Domingo! Kisses and many thanks for your comments. Happy Sunday! Love your Guess. Happy Christmas. Kisses. Such wonderful shoes, my dear! I love them! Happy holidays. I'm in love with the boots! The watch is absolutely beautiful! I'd love one like it. How cool are the boots! Won't you do an outfit post with it? Que de cosas chulas, los botines me encantan!!! estupendas tus compras y los relojes sensacionales!! Feliz Navidad guapisima!! besos! Voy a ver esa tienda online, me ha picado la curiosidad.. Happy weekend and happy holidays! Hope you can visit me again dear! Sharing one of my skin / beauty secrets! 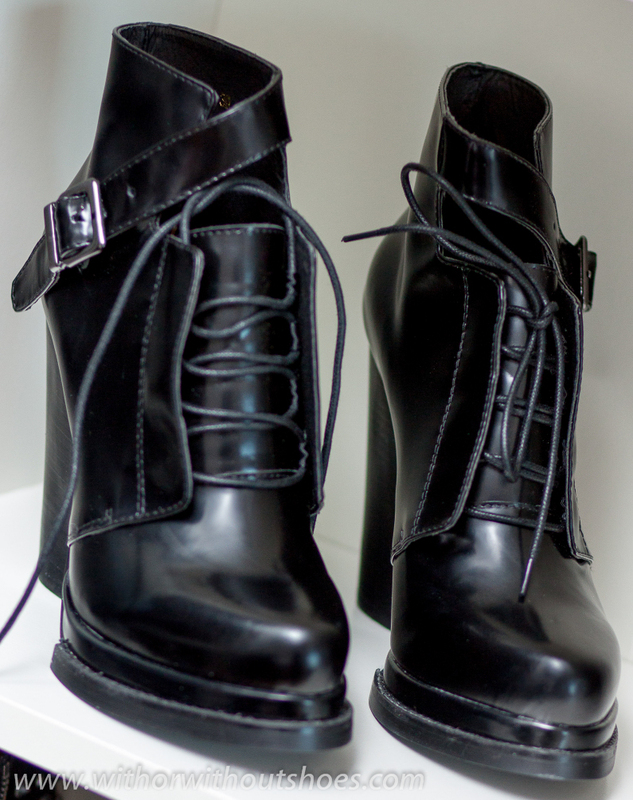 Los botines son divinos. Felices fiestas de todo el equipo de Mundo Avenio. Those boots are really very cool! Cool new shoes. Very edgy. The shoes look really great! Check out my Christmas GIVE AWAY!